Question: Free Water Testing for Mercury in Indiana? My son lives in Indiana and has well water. He has heard that there might be high levels of mercury in his water-who would he call or what can he do to get this tested? Is there usually someone in the county or state you live in that offers free testing, such as the EPA? Thank you. Thank you for your question, Kris. We first suggest you take a look at the EPA web page dedicated to listing the contact information for State Agencies in Indiana responsible for drinking water, ground water, etc. If you cannot find the information you seek by contact one of those agencies, try having your son contact the Board of Health in his area. They will often know of current government-funded water testing programs if they exist. 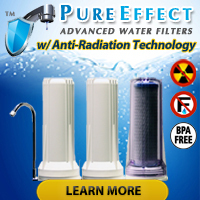 In the event your son’s local officials cannot provide him with a free water testing option and the links on the EPA’s web page also prove ineffective, you may want to consider using a simple test strip designed to detect levels of dissolved mercury in water as low as .002 ppm (parts per million). While test strips such as Boris’ Mercury Check from Industrial Test Systems, Inc. work well as screening tools, they should serve only as screening tools. Positive or questionable results obtained from at-home drinking water test kits (test strips, liquid kits, meters, etc.) give users an indication that they may want to have their water tested by a certified water testing laboratory in their area. 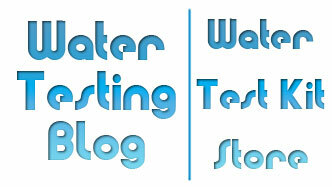 « Chlorine Test Strips… You Have Options!